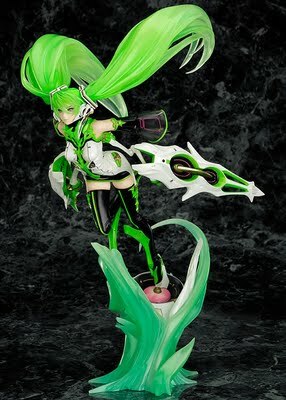 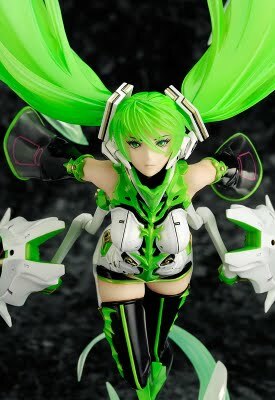 Opened my email to one of my suppliers in Japan this morning and this Miku figure woke me up. The Miku Hatsune VN02 Mix Figure by Good Smile Company (& Max Factory) is a sight to behold. 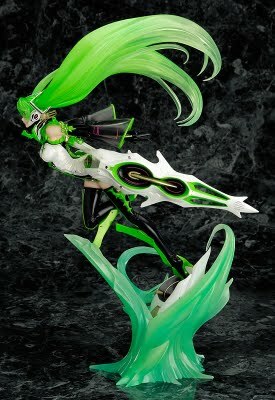 If some of you were keeping track of recent Wonfest news, this might not be new to you but for the rest of us who haven't seen this figure, she's a work of art. At first glance, she's not the Moe Miku we are use to but still, this is bound to be one of those very hard to find figures that GSC will probably quickly run out of from the demand (like Black Rock Shooter & Saber Lily). Like Black Rock Shooter, she'll be shooting a hole in your pocket for a 1/8th scale figure at around 12,800 yen (or ~$160USD....damn you weak US economy -_-). 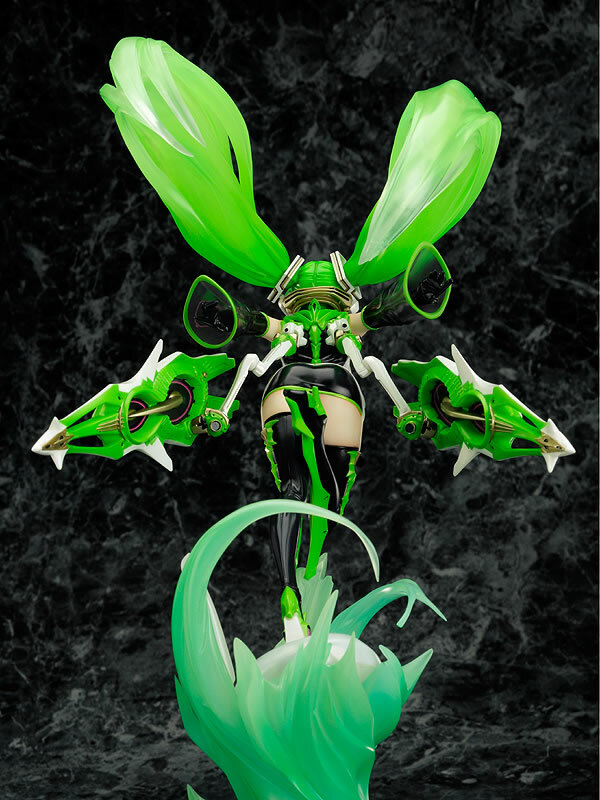 Her expected release date is around late June of 2010 but expect her to be out later than that as with..ahem....Black Rock Shooter taking her sweet time to get here on US shores. 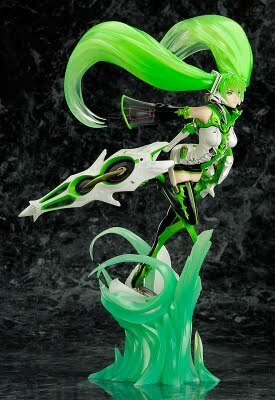 I have her in the store for pre-order but you can also email us to be put on a waiting list. 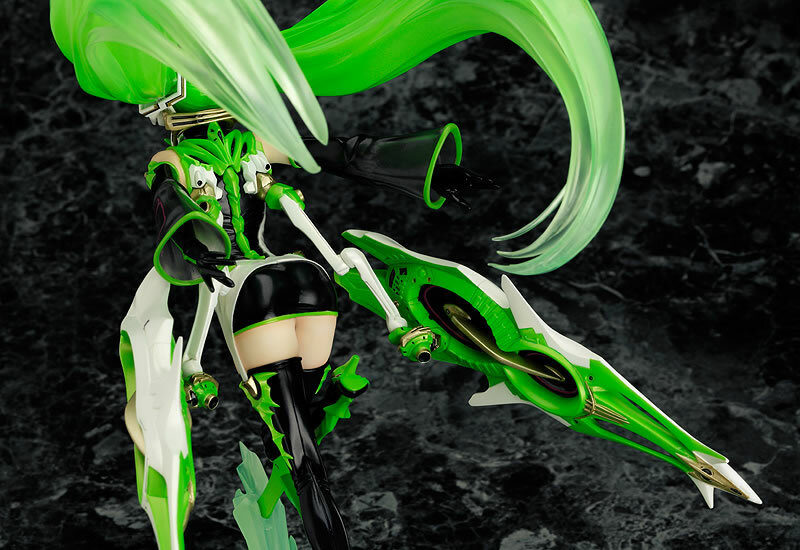 As with many of the official Good Smile Figures, expect the date of release to be later. If we say you are getting it, unless something terrible happens...you will have a figure reserved for you. 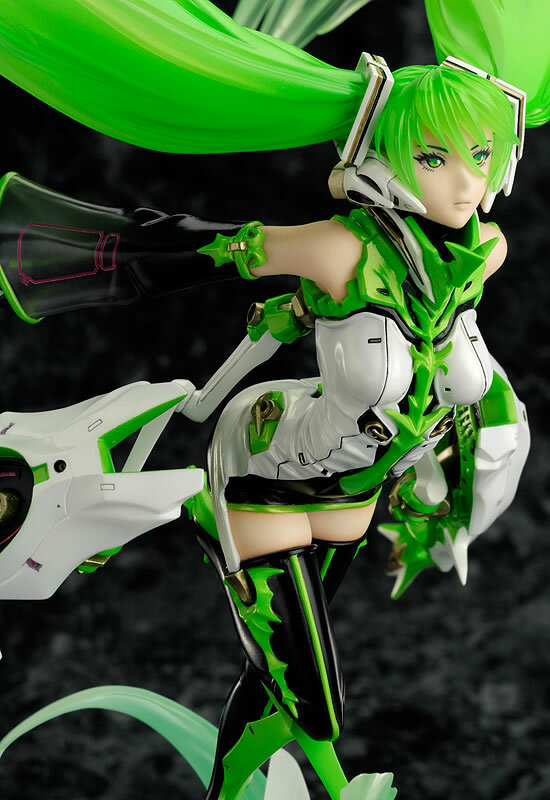 Anyways, take a look at some more images of this awesome figure, provided by the Good Smile page created by none other than Danny Choo.